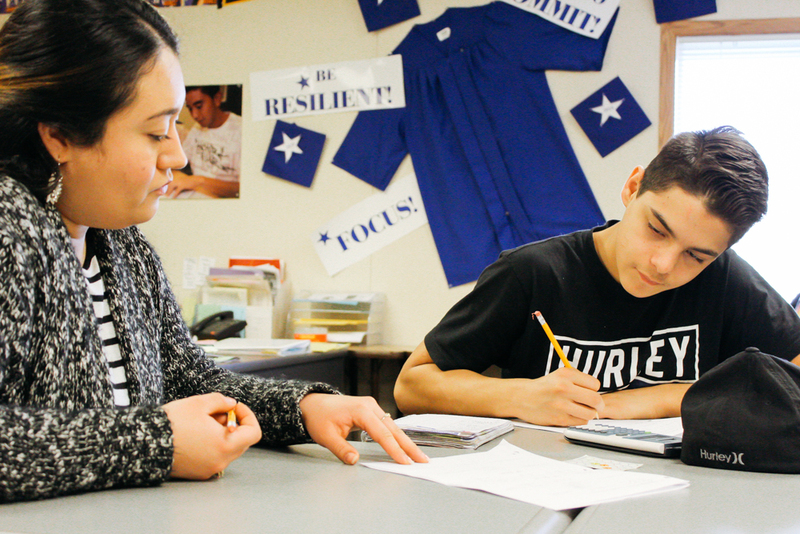 Classroom Connections, a club at Whitman that sends Whitman students to tutor at Walla Walla High School (Wa-Hi), is all about making connections. Classroom Connections meshes the worlds of high school students and Whitman college students through Guided Study, a required study hall during the school day, and Academic Lab, a voluntary drop-in space after school. Tutors are assigned to both facets of Classroom Connections and offer academic support, guidance, encouragement and friendship. As a community service intern for the Student Engagement Center, sophomore Niki Lonberg runs Classroom Connections. He works in affiliation with Wa-Hi teachers Sherry McConn ’74, who attended Whitman and oversees Guided Study along with Christopher White, who runs Academic Lab to provide them with tutors. According to Lonberg, the connection that Whitman builds with Wa-Hi is enough incentive to be a tutor. 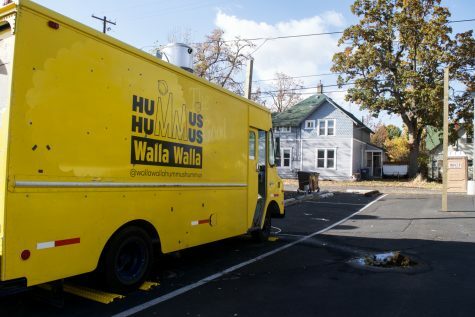 “A major goal of Classroom Connections and a goal of mine is to involve Whitman students more with the community, and through the high school I think that that’s a great place to be involved in the Walla Walla community,” Lonberg said. Guided Study, integrated into the school day in the form of actual class periods and run by Sherry McConn, has consistently been a core part of Classroom Connections. As a required and supervised study hall, it gives struggling students the opportunity to receive extra academic support. “Guided study is a semester-long process of whipping yourself into shape, per say,” Lonberg said. Guided Study serves as a year-long academic intervention fueled with support and encouragement from McConn and the tutors. As the head of Guided Study, McConn leads her classrooms with inspiration, creating an environment that encourages students to work hard. Sometimes the high school students just need a little bit of a push. Senior Jane Duncan, a veteran tutor who has been involved in Classroom Connections for the past two and a half years, also tutors students at Whitman. She says that while the main part of tutoring at Wa-Hi is getting students excited about doing work, at Whitman students are highly motivated and seek out tutors. “In Ms. McConn’s classroom, a lot of them need a little bit more of a spark or need a little bit more encouragement than otherwise,” Duncan said. Duncan not only serves as an extra cushion of academic aid, particularly in math and science, but she is also a mentor to the students. The work she does encompasses areas outside strictly academic help. “A few weeks ago I emptied out a kid’s backpack and organized all of his stuff with him and put it back together…so it’s beyond just the nitty and gritty of tutoring,” Duncan said. “It’s also talking to them about how I stay motivated in school and how I organize myself, why I use a planner, and things along those lines,” Duncan said. In Duncan’s two and a half years with Classroom Connections, she has witnessed students that struggle with academics funnel their experiences into mentoring younger students, initiating a chain of support that spreads from student to student. Academic Lab, led by Christopher White, is a voluntary drop-in space held in the library from the last period of the school day to an hour and a half after the school day ends. White works along with Lonberg to arrange tutors for Academic Lab. Additionally, he augments motivation of the high school students by holding discussions, bringing in special guests and providing information about scholarships and financial aid. As a whole, White’s actions help students see the bigger collegiate picture. Naturally, one of White’s goals is to push for academic excellence. “[We’re hoping for] a change in the culture here where academic excellence is more expected than exceptional,” White said. He also hopes to collaborate with teachers to help tutors be better equipped to work with students, leading to more success in the future. “I know it’s a challenge to come in cold. I am working with the teachers here at Wa-Hi to make things more predictable for incoming tutors … to come up with ways that tutors can come in and prepare or at least know what students are working on so they can prepare for it a little better,” White said. All the while, White recognizes that variety within the realm of tutoring is beneficial since students learn differently. Lonberg recently launched one-on-one tutoring that is built into Academic Lab. In collaboration with White, Lonberg developed a website where students can easily sign up for a weekly session with a Whitman student. In this more structured way, tutors will know who their student is in advance. “With one-on-one tutoring you know how they learn. You learn how they learn, and you can attend to those needs better, which is why I’m trying to make that part of Classroom Connections,” Lonberg said. Robert Walker, a tenth grade student at Wa-Hi, was one of the first people to sign up. He said that he likes coming into the library with an intended idea to explore on a scheduled date every week. “If I just walk in here and have a basic knowledge of something, I can … expand it in multiple directions, and later have a very well-rounded gob of what I’m working on,” Walker said. He talks about wanting to have a solid foundation so that he can build on his knowledge and apply it to other things. In high school, the short amount of free time that students have is usually begrudgingly allocated to homework. As someone who participates in a plethora of extracurricular activities, Walker says that one-on-one tutoring has helped him manage his time by providing an hour of intense, focused study. “It’s a focused environment, too; it’s not like when you’re at home and you have all these things distracting you. You just have a person there that keeps you going,” Walker said. He states the importance of actually absorbing the information instead of just trying to get it done, which tends to happen with many high school students who scramble to get things done at last minute. As college students, Whitties are freshly out of high school and can probably remember what it was like to be a high school student, allowing them to relate better to those they tutor. Whitties aren’t the only ones who feel the connection. White adds that connections are strengthened by the relatability that comes from Whitties and Wa-Hi students being similar in age. Lonberg mentions that creating that bond is crucial during the high school years. 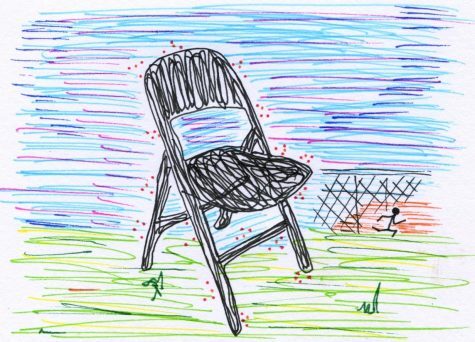 Students really feel their tutors’ absence when they’re gone. Over the last chunk of Whitman’s winter break, when Wa-Hi students were gearing up for finals, the Wa-Hi students kept questioning White about where their tutors were and when they were coming back. White said that this connection is derived from the person-to-person friendship that the tutors have built. It all starts with a conversation and then expands to encompass academic support. It is easy to enclose yourself in the Whitman bubble. However, through Classroom Connections, Whitman students have the ability take a break in their own studying and use a part of their college experience to guide high school students down a similar academic path. Students like Walker are working hard to reach their academic potential. As college students, Whitties can serve as that model. 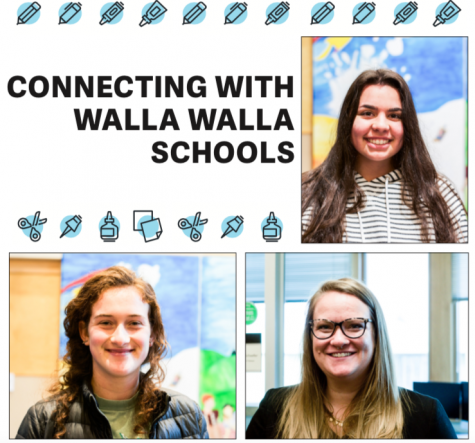 However, change does not just happen overnight, which is why both Wa-Hi and Whitman students work day-by-day to help high school students reach their goals. “The little things make up the big picture, so I’m just always going to try to work on the little things to try to achieve the big things,” Walker said. With the connections that they have built, Whitman tutors recognize the change in high schoolers’ work habits, which really makes them feel impactful.